In the last article, we’ve learned about Template driven forms. And here we’ll look into the different approach to create forms and that is Reactive forms. And this approach gives us more control over the structure and the behavior of our form. Build forms that include an array of objects that are added or removed dynamically. But if you’re a beginner in Angular and you want to start your journey with Angular then here is the roadmap for you. 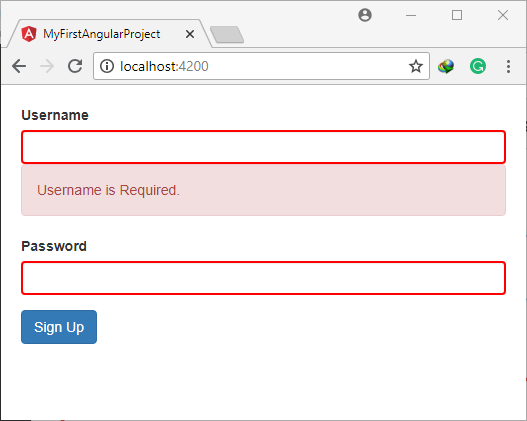 And it is the 8th article of Angular series. 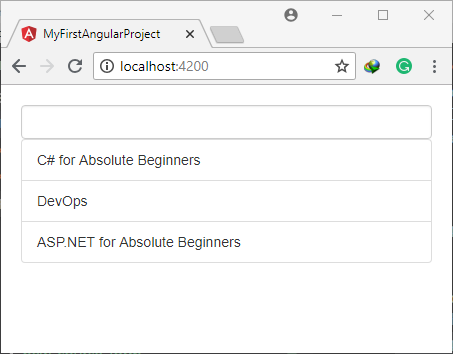 So let’s start our journey with Angular. To speed things up, I’ve built the form for you. Just extract the RAR file and copy paste the component into your project component folder. And then register this component in app.module.ts and call the component with its selector in app.component.html. So this is our signup-form. 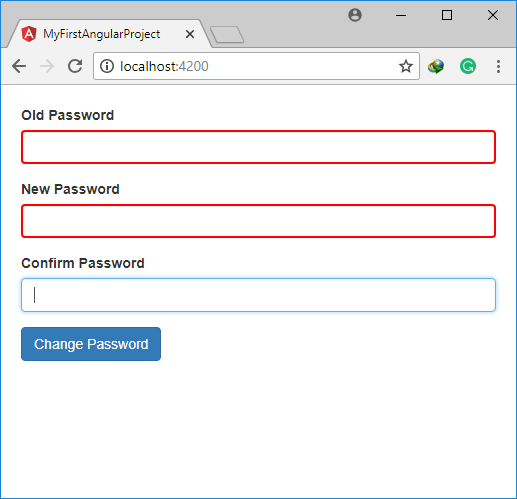 It is the simple bootstrap form and now we want to convert it to the Angular Reactive form. You already know that in the template driven form, we use ngModel directive on input elements and this directive internally creates an instance of FormControl. But now when we’re building the reactive form, we should create this FormControl object explicitly in the code. So let’s go to our signup-form.component.ts and here we’ll import a couple of classes. So back in component and as the intellisense suggests. Now we need to go to our template and associate our input fields with this FormControl objects. So here back in form template, first we need to apply a directive of our form element. Now save the files and open it into the browser. 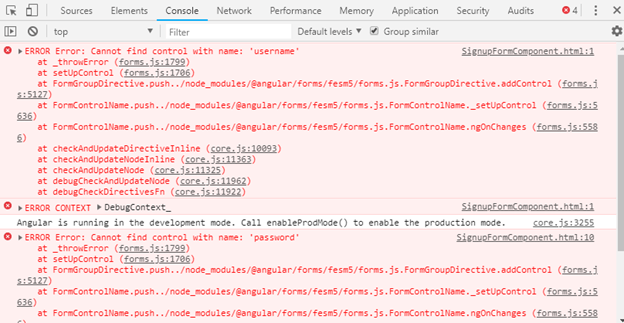 Now, if you open angular.io and search for formgroupdirective, you’ll see that this directive is defined in ReactiveFormsModule so all the directives for building reactive forms are defined in a separate module called ReactiveFormsModule. And of course, our auto import plugin automatically adds the import statement on the top. Now if you go back to the browser you’ll see no error message in the console now. Everything is working perfectly. Now let’s add the validation to this form. In the previous article, when we were building template driven forms we were using html5 attributes. But here when we’re building reactive forms we’ll not use these html5 attributes. We assign validators when we’re creating FormControl object. And obviously, all of these methods are static. So we can access them with the class name. Now we want to add the valdation messages. We already know that we can access the component fields directly in the component html files. This is the final code. And if you run the application in the browser, it is working fine. Now let’s see how to add multiple validators and how to show the different validation error messages in the browser. Now let’s display specific error messages. Now let’s test the application. And yes it is working fine. Let’s see how to implement custom validator function. 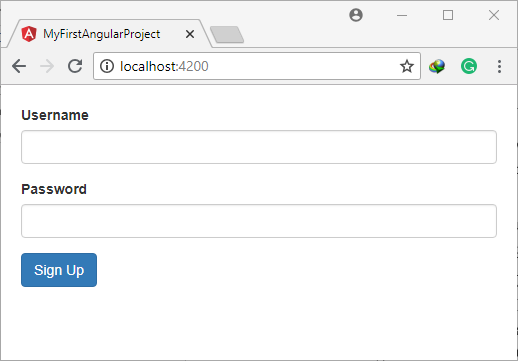 Now come on to the Angular documentation and search for validatorFn. It is an interface as it is indicated with I in search. And if we read the documentation of this function we’ll see that in this interface functions represents with this signature. Function that takes AbstractControl as parameter and returns ValidationErrors or null. In the Typescript article, we learned that we use interfaces defined a Shape or object. We can use interfaces to define the shape of function as well. Any function that matches above signature is considered a ValidatorFn. We can define this function anywhere in our application but it is better to put all the ValidatorFn inside a class. This way we can encapsulate them in a single place. 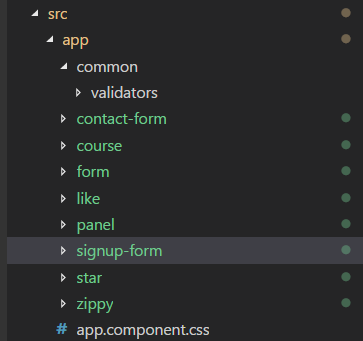 So back in VS Code, We add a new file ‘username.validators.ts’ in signup-form folder. Here we export a class and define the functions which functionality we want. And for another scenario, if we are going to implement that built in required validator, the key here would be required. To come back to the point; so the value can be anything, if we want to supply some details to the user then we need to add an object here otherwise we can add simple type like true here. So if you want to provide details to the client, you use a complex object as a value here. Now let’s undo this, and come back to the cannotContainSpace. So if the validation fails, we return the validationerrors object or null. One last step, in order to access this cannotContainSpace() method to the outside without having to create an instance of the class, we decorate this method with static. So here we have customValidator, now we need to import it into our component. Now let’s consume it in the component. Before going any further, we just emphasize that in this demo I put this custom validator inside signup-form folder because this is the only place we’re using this validator. In a large complex applications, chances are you might have different components that use the same validator. If that’s the case you need to put all these validators in a common place. For example, add a folder ‘common’ in ‘app’ folder and inside we can place validators. Now let’s define the validation message for this custom validator. Here cannotContainSpace is the key which we defined in the return statement here. Now let’s try this validation in the browser. Sometimes we need to call the server to validate a given value. For example here we want to call the server to see if this username is taken or not. So let’s go and implement the custom validator. So back in the UsernameValidators class and here we’ll add another static method. 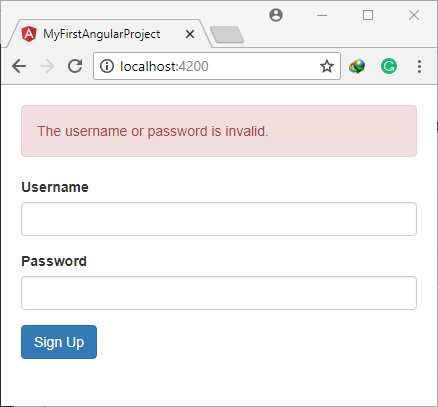 Now to implement this method, we don’t want to call to server yet because we’ve not covered the http services yet and how we connect through http services in Angular. So let’s make it simple and simulate a call to the server. 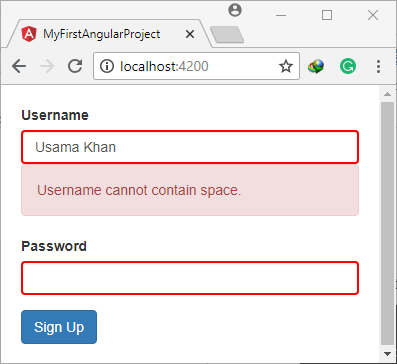 So the username is usama, we assume it is taken otherwise the username is unique. And it is really very simple implementation. What should we do to simulate the call to the server? Well calling the server is what we classify as an Asynchronous Operation. What is an Asynchronous Operation? When we call the server there is going to be little bit of a delay in I/O operations. That delay may be half a second or of 3 seconds or it may be 20 seconds depending upon the connection speed. In situations like that the process that is executing our code doesn’t want to block while waiting for the result coming back from the server. Because if that process blocks, user can’t interact with the browser. So that process is going to call that server behind the scenes and when the result is ready, it's going to display to the user. So this is what we call asynchronous operation. Asynchronous means none blocking (multiple tasks at a time). We can use this to simulate the call to the server. setTimeout() has callback function inside and we know that we can use the arrow functions here if callback function has no parameters. We already discussed it in our Typescript article. Now let’s move the code inside the callback function. setTimeout() is an asynchronous function which we can simulate this to the call to the server. It will be executed after 2k milliseconds and we don’t want to be blocked while waiting for 2 seconds. The issue we’ve here in this code, return statement inside setTimeout() is not returning to the shouldBeUnique() function. They are just returning from the callback function that we pass to the setTimeout() function. Here we’re just simply calling setTimeout() function. If you want to get rid off this compilation error, we need to return something on the same scope of setTimeout() function. Now the compilation error is gone. However we can’t use this validator function inside our component because this function will always return null which means no error. So the issue we’ve here we’re dealing with asynchronous operation. When we’re building validator, it involves asynchronous operation and we need to use a different signature for our validator function. Back in our component, here we create the FormControl object. And as you can see the type of the parameter is either AsyncValidatorFn or an array of AsyncValidatorFn. 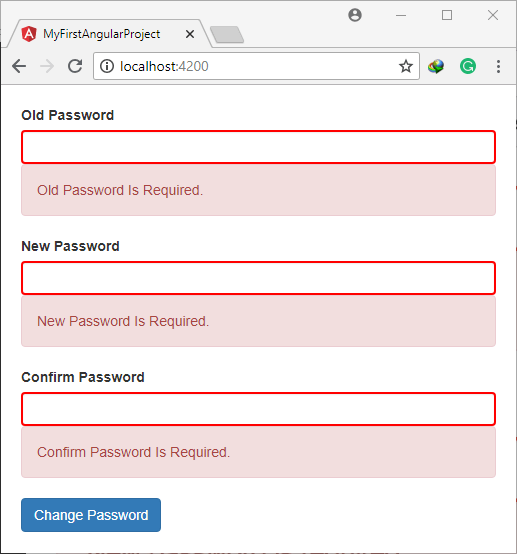 Let’s go back to Angular website and look at the declaration of this interface. Now look at the signature of this function. Just like before this validator function takes parameter of type AbstractControl but the return type is a little bit different. Previously the return type was ValdiationErrors object or null. Now it is the promise of ValidationErrors or Observable of ValidationErrors or null. So basically this function should either return a promise or observable. So now let’s go back and modify our validator function to return a promise. Now when we create the Promise object, here is the screenshot of constructor. Now the complex thing has started, it is quite difficult to understand this concept. It's too complicated. Let’s try to understand. The reason it looks complicated is because of error function syntax. And here we’ve 3 error functions and we’ll simplify them one by one. This error function represents function with this parameter. resolve is a function that takes a value and returns void. this function is the type of reject parameter here. So let’s simplify this once again, but keep in mind reject is a function that takes an optional parameter called reason and returns void. the function that takes 2 parameters (resolve and reject). And both these parameters are functions. So this function takes these 2 parameters and returns void. And this function is the type of executor which is the parameter of constructor of the Promise class. So be aware. Otherwise you’ll see the error while using resolve and reject in your coode. And in case of failure, we’re gonna use reject parameter. And in reject, we can optionally specify the reason of failure. And if it is the complex object with details then we can create the object inside reject(). So now that we have the promise object and now we move the setTimeout() code into the body of executor function. // Remember: it is for demo purpose, it is actually not part of real implementation. So now here we have the asynchronous operation when this operation completes, you want to return the value, the consumer of this promise. So instead of returning ValidationErrors object here, we're going to call resolve and give the object into it. Now to display this validation error, we should go to our template and add one more div with validation error message. We can see the error message is showing but it will show on the screen after 2 seconds because we’ve a delay in setTimeout() of 2s. And our browser is not blocking, it is working in the delay as well. When working with async validator you may want to display the loader image while the asynchronous operation is in progress. Implementation is very easy, let’s see how can we implement this feature. While async validators are useful for validating input fields sometimes we need to do validation upon submitting the forms to the server. Imagine instead of a sign up form we’re building login form. In this case, we need to submit both the username and password to the server in order to see if this is a valid login or not. We can just validate the username and password. So let’s see how to add validation when submitting the form. So back in component, we add ngSubmit directive and define the function in the component. First in the top here we handle ngSubmit event. Once again to referesh your memory, we’ve ngForm that is apply to all form elements by default. And this event exposes on output property or an event called ngSubmit. So we can use it in event binding expression. The name of that service class is authService and this has method login. 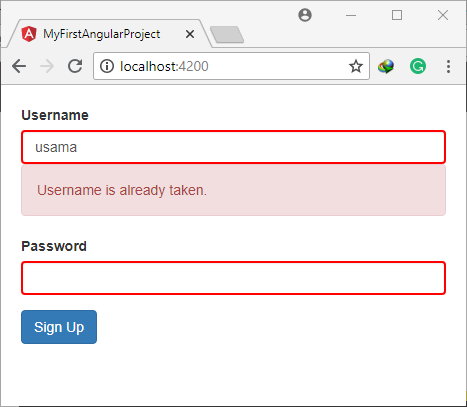 Here we need to pass json object in the login method. So in this json object we’ve 2 properties (username and password). Now when we call this login method eventually we get the value from server, most likely boolean that determines if the username and password are valid or not. So if isValid is false, now here we want to add the validation errors to the form. 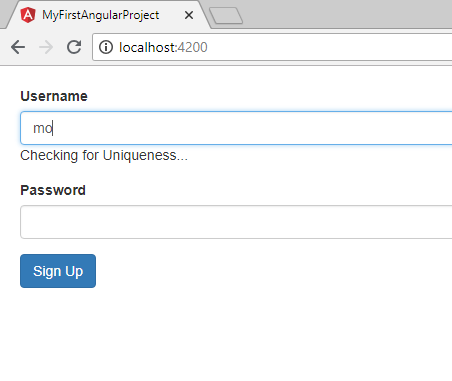 Here in SignupComponent we have FormGroup class with form instance. 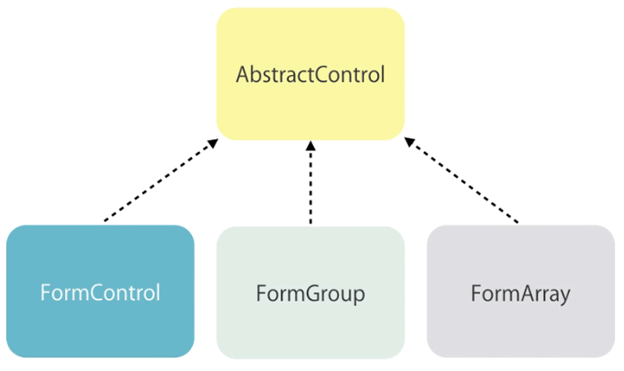 As we know that FormGroup and FormControl classes derive from AbstractControl which defines the common properties and methods. And one of these methods is setErrors. And we’re using setErrors at form level. If you want to set setErrors at individual control level, we should call this method on a particular control object i.e. Now let’s test the application in the browser. Initially we don’t have any errors. But when we click this even without filling the form, we get this validation error. So this form we have here is a simple form. We’ve one group with 2 controls inside group. In a large complex applications, you might have a form with multiple subgroups. So let’s see how to implement that. Imagine this username and password controls are part of the larger form. And in that form, we’re going to have a subgroup called account. So here in FormGroup object, we add the key called account and instead of creating a new FormControl, here we create FormGroup with an object and inside this group we’ve properties. And also you need to update your username() method as well where you should have fully qualified path of username. It is because username is no longer at root control. Now it is the part of Group called account. So in Angular, as we have the directive called formControlName we have another directive called formGroupName. So we create on more div and move username password divs inside that div. 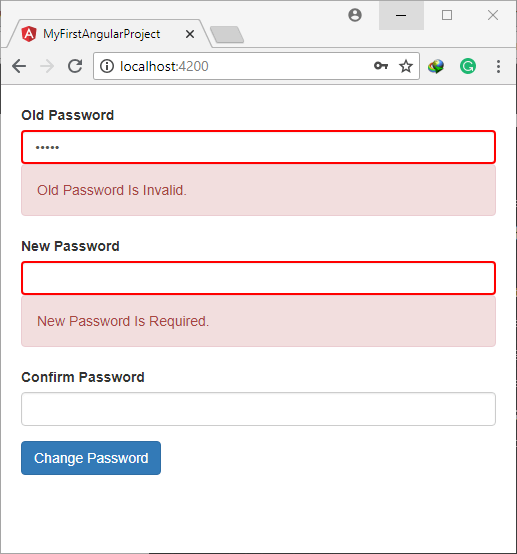 Now when angular access the username FormControl. He’ll automatically get an idea it is lying under formGroup account. And now if we go back to the browser, the error is gone. This is how we use nested group in the form. Sometimes we need to work with array of objects in a form. Let’s see something new with some practical. Here we’re passing reference to this input field as the method argument. Now let’s define the addTopic() method. Now push method expects AbstractControl. 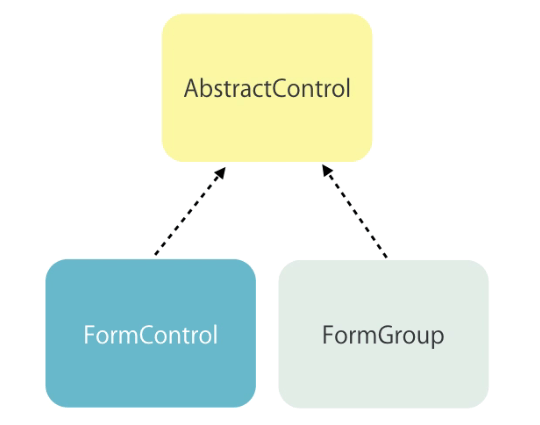 Now once again, just to refresh the memory AbstractControl is the base class of FormControl, FormGroup and FormArray. So all these classes are essentially AbstractControl and we can use them here in push arguments. Now in this application, each topic is a simple value. So we’re going to pass FormControl object here in push() method. In your application, each item may be complex object then you would add FormGroup object here. Now let’s initialize it with the value we have in input field. topic.value = ‘’ is used for to clear the input textbox on first time enter hit. Now before going any further, let’s refactor the code little bit. Similarly go back to the template and in the loop, refactor the code. We’re passing topic instance of FormControl to the removeTopic as an argument. Now back in our component. Now let’s test the application, and you’ll see it is working on clicking the items they are removing automatically. Now we’ve simplified the code. And removed all the additional methods that we don’t need here. So here we have form object. And to make it more comprehensive, we add one more somegroup inside form. 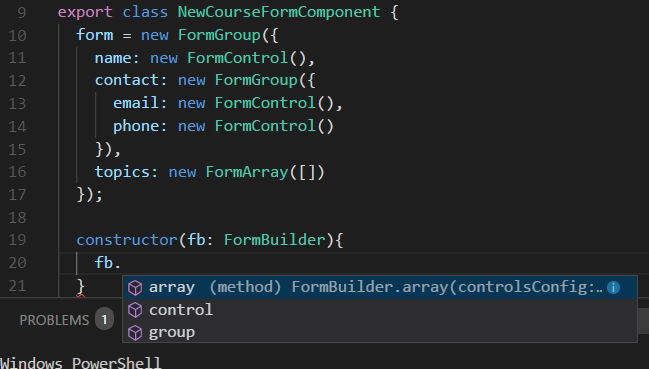 Now there is a cleaner way to write the above same code, here we’ve FormBuilder class in Angular for building forms. So first we add constructor and inject FormBuilder object here. And we’ve 3 methods with instance of FormBuilder. Now as we have defined the form with FormGroup, let’s try to rewrite the code with FormBuilder. But fb.control is not the cleaner way to implement. So when we want to create control, we need to pass an array and the elements we mention here will be used as the arguments to the FormControl object. So let’s say here we have 2 arguments. So this is how we use FormBuilder class. So with reactive forms we build our form explicitly in the code inside our component. And now our template code becomes also very simple. We use a few directives here to associate the controls we created in component to the elements of this form. There are 3 directives we need to remember in Reactive Forms. Now let’s we make the confirm password form. So create a new component. And here we make the form elements in code. Now back to component template. Here we create the form. Now with the help of Zencoding, we create our html elements. And it will generate the code, something like that. Now let’s add the labels here in the form and now we need to associate each input field with the FormControl object that we created in our component. Now our html form is ready. And if we focus out from the input textbox, it will become red bordered which means required validation is working. Now we need to add Validation Errors. So back in our templates after each input field we’ll create the div for validation error messages. This is how we access the oldPassword form control in template. But it is lengthy and if we use oldPassword control at multiple places then we need to write it again and again in all the places. So let’s move it in the property of component. Actually we’ve 2 types of validation errors. One is for required and other is for asynchronous validator. Asynchronous validators are the ones we have not implemented yet. So here we’ve multiple validation messages. So, we create a separate div for each message. Now let’s test the application up to this point. You might be thinking that we’re not explicitly mentioning the Promise return type here. Actually it is not necessary right now, because we don’t really need it. 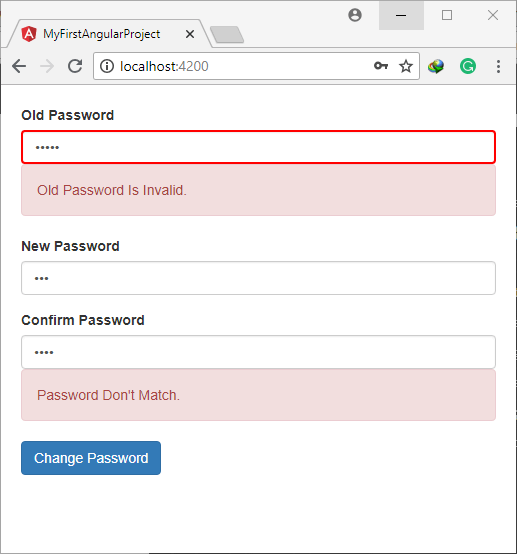 Now let’s consume this validOldPassword method in our changepassword component. Now let’s define the error message in the template. And look it is working. Only 1234 old Password is allowed here. Now the last point, we want to implement confirm password validation. Now with confirm password, we need to know this form as a whole because we need to access 2 controls (new Password and confirm Password fields). So back to our Password validator, I’m gonna define another validator. this group method of FormBuilder class takes two object parameters. The 1st parameter is where we define our controls and the 2nd one is another object where we add extra stuff to this FormGroup. So if we see the intellisense of group() we’ll get to know how can we implement this function. Validator is the key here. Now finally let’s go back to our template and add the Error Message by adding div. And we want to render this only if the passwords don’t match. So we can get the reference of form here. As we’re implementing the validation messages before as well so we always use formcontrol property with validation messages, but here we’re accessing the complete form and checking the state of its html elements by implementing the function. So we’re using form.errors.passwordsShouldMatch, so don’t be confused. And one more check we need to implement here is if confirmPassword property has the value it means if it is valid then show the validation message. Now run the application and see the results.